Check our range of special deals on now! Authentic experience inspired by the magic of African safari camps! Save US $1,000 on selected 2019 departures on board these luxurious vessels - explore magical wildlife and spectacular scenery! 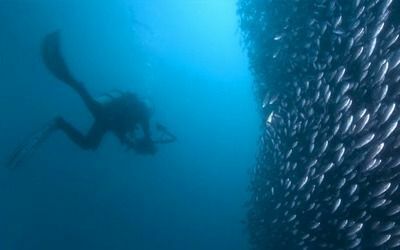 Renowned as one of the best diving destinations in the world! Get up close and personal with playful wildlife. See the vast scenery and wildlife of of the Galapagos islands without the expense of a cruise. Explore our range of standard category tours and cruises to find amazing packages to suit your budget. One of our expert travel designers Lara recently returned from the Galapagos - hear all about her trip here. 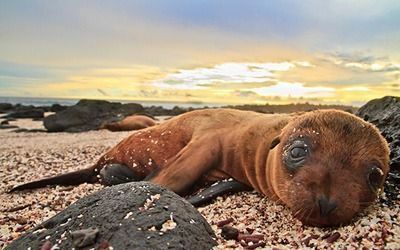 Located off the coast of South America, the Galapagos Islands have some of the most diverse wildlife in the world making it a paradise for diving, bird watching and all nature lovers. Our small ship Galapagos Island Tours will give you the opportunity to watch giant Galapagos tortoises and Blue Footed Boobies in the morning and snorkel with sea lions and marine iguana’s in the afternoon. 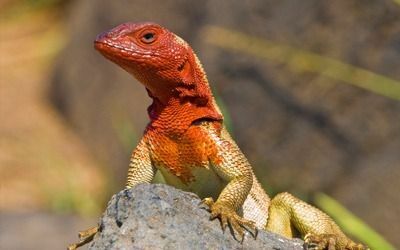 Book a Galapagos Cruise around the famous archipelago with Eclipse Travel and experience an unrivalled wildlife-viewing adventure which you will never forget. Check from our choice of Galapagos Tours ranging from budget to deluxe cruises or contact us and we’ll be happy to suggest the perfect option for you. If you're just planning at this stage then please sign up for our free newsletter to be kept informed of our latest news and offers. Budget options for the Galapagos Island cruises mean you don't have to spend a lot to experience the amazing Galapagos Islands. 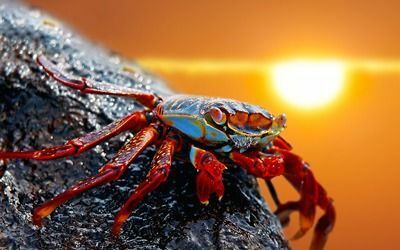 Treat yourself with these excellent value for money superior standard option cruises to the incomparable Galapagos Islands. 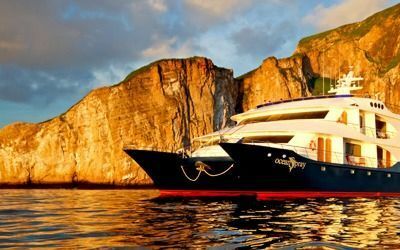 As the name suggests, these are our fantastic luxurious options for your Galapagos cruise. This truly will be the trip of a lifetime. 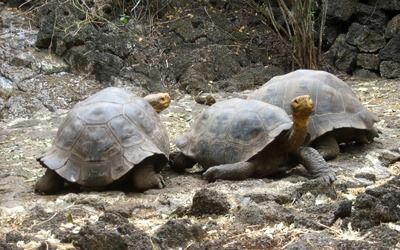 Check here for our specials on cruises to the Galapagos Islands. 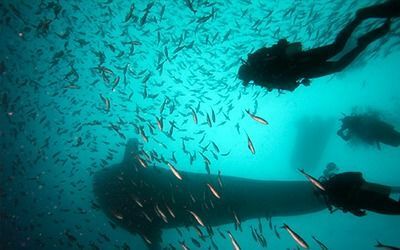 Arguably one of the best dive sites on the planet and the opportunity to experience diving with Whale Sharks , schools of hammerheads sharks, manta rays, fur sea lions and reef fish to give you an unforgettable underwater experience.